Join Minnie, Daisy and all your Clubhouse pals for a mousekemagical celebration! Today is Minnies birthday. Can Mickey and the gang get everything ready and keep the party a secret until its time to shout Surprise!? Only if you help them pick the right Mouseketools. Soar above the clouds with Daisy and Minnie as they use rainmaking Pitter-Patter-Glitter to make their flowers bloom. And share the fun when Goofy babysits Minnie, Daisy, Mickey, Donald and Pluto after a time machine turns them into mischievous toddlers. Overflowing with music, laughter and delightful adventures, I ? 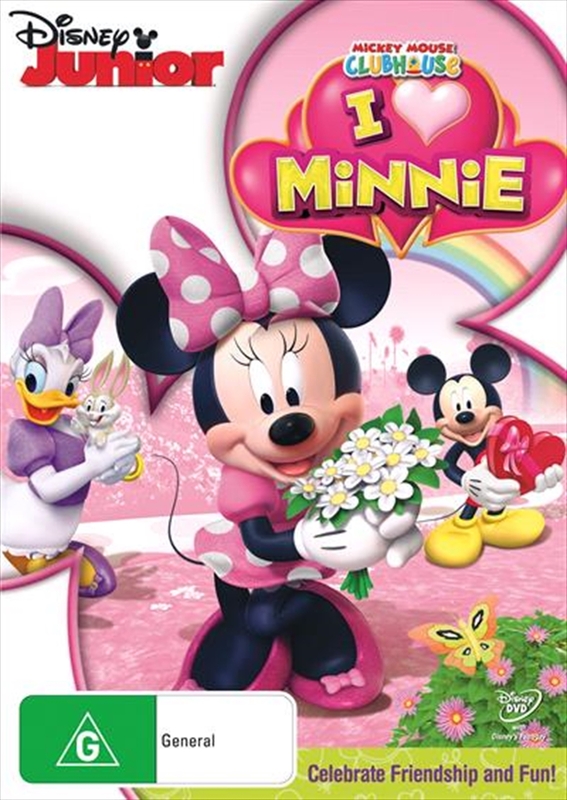 Minnie is the perfect way to say, I love you!